Signed copies of Jane Corry’s brilliant new book Blood Sisters £7.99 in store. 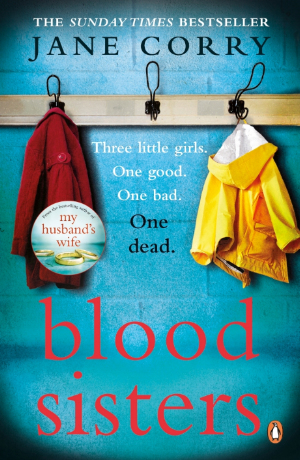 Read more at https://www.penguin.co.uk/books/294513/blood-sisters/#aiw28rcIvrDRJq9I.99Jane Corry is a former magazine journalist who spent three years working as the writer-in-residence of a high security prison for men. She had never been inside a jail before and this often hair-raising experience helped inspire her debut psychological thriller, the Sunday Times bestseller My Husband's Wife. will also be on hand to offer tips on writing.